Reviewed by Scot Thomas, M.D. 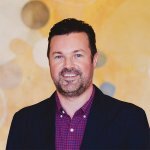 Dr. Scot Thomas is Senior Medical Editor for American Addiction Centers. He received his medical degree from the University of California, San Diego School of Medicine. While the use of drugs and alcohol among veterans is a known issue, substance abuse among active-duty members of the United States Armed Forces is itself a significant problem. This article will discuss only active-duty military substance abuse, the problems caused by it, and some of the factors that are thought to contribute to it. The use of drugs or alcohol affects one’s ability to make decisions and learn new information. Drug and alcohol abuse may lead to poor on-the-job performance. Drug and alcohol abuse could place other individuals who work with the affected person at risk. The military has zero-tolerance for illicit drug use. Testing positive for an illegal substance on a random drug screen may result in a dishonorable discharge and potential criminal charges.6 In 2015, less than 1 percent of active-duty military service personnel across all branches reported any illicit drug use. While there is no one reason that people drink or use drugs, there are numerous risk factors that may make substance abuse more likely. Certain types of military service, whether past or present, may be associated with additional, unique risk factors. The most salient risk factor associated with substance abuse and the development of substance use disorders among military service personnel is active deployment in a combat zone. Ritualized drinking and using alcohol as a way to handle stress, boredom, loneliness, and other negative feelings may lead to alcohol use problems down the line. Because of the very active and strenuous nature of work that occurs in many active-duty military personnel, and of course combat, there is an increased risk of physical injury. Treatment for injuries often involves prescription opioids, painkilling medications with a high potential for misuse and abuse.6 Misuse of prescribed pain medication may lead to an opioid use disorder. Active-duty service members also have the option to ask for an assessment and treatment on their own.12 While disciplinary action may result, it’s important to remember that without intervention, it is likely that the substance abuse issue will continue to worsen and may end in devastating consequences that make a disciplinary action seem minor in comparison. 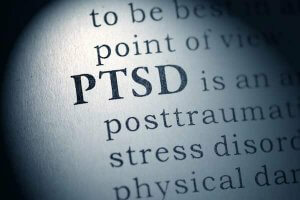 Treatment programs for military personnel with substance use disorders will ideally include a focus on addressing trauma, include treatment for other psychiatric disorders, and work to lessen the stigma associated with substance abuse or mental health disorders among military members. The Substance Abuse and Mental Health Services Administration provides several resources that can be utilized by active-duty military personnel. Individuals can find treatment here or by calling 1-800-662-HELP. The United States Department of Veteran Affairs offers information on treatment programs for veterans, as well as a list of resources. Military One Source offers information about addiction and warning signs, as well as treatment and recovery resources for service members and their families. If you are in an immediate crisis , you can call the Military Crisis Line any time of day or night at 800-273-8255 (Press 1) or send a text to 838255. Doweiko, H. E. (2018). Concepts of chemical dependency. Australia: Brooks/Cole. Atlantic Canada Council on Addiction. A Toolkit to Address Problematic Substance Use That Impacts the Workplace . Sharbafchi, M. R., & Heydari, M. (2017). Management of Substance Use Disorder in Military Services: A Comprehensive Approach. Advanced biomedical research, 6, 122. Meadows, Sarah O., Charles C. Engel, Rebecca L. Collins, Robin L. Beckman, Matthew Cefalu, Jennifer Hawes-Dawson, Molly Doyle, Amii M. Kress, Lisa Sontag-Padilla, Rajeev Ramchand, and Kayla M. Williams, 2015 Health Related Behaviors Survey: Substance Use Among U.S. Active-Duty Service Members. Santa Monica, CA: RAND Corporation, 2018. Committee on Prevention, Diagnosis, Treatment, and Management of Substance Use Disorders in the U.S. Armed Forces; Board on the Health of Select Populations; Institute of Medicine; O’Brien CP, Oster M, Morden E, editors. Substance Use Disorders in the U.S. Armed Forces. Washington (DC): National Academies Press (US); 2013 Feb 21. 2, Understanding Substance Use Disorders in the Military. National Institute on Drug Abuse. (2013). Substance Abuse in the Military. Larson, M. J., Wooten, N. R., Adams, R. S., & Merrick, E. L. (2012). Military Combat Deployments and Substance Use: Review and Future Directions. Journal of social work practice in the addictions, 12(1), 6-27. National Alliance on Mental Illness. (n.d.). Veterans & Active Duty. National Alliance on Mental Illness. (2017). Dual Diagnosis. Genevieive Ames, Ph.D. & Carol Cunradi, M.P.H, Ph.D. (n.d.). 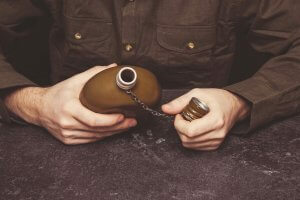 Alcohol Use and Preventing Alcohol-Related Problems Among Young Adults in the Military. Poehlman, et. al. (2011). Socio-Cultural Factors That Foster Use and Abuse of Alcohol Among a Sample of Enlisted Personnel at Four Navy and Marine Corps Installations. Military One Source. (2018). Military Policy and Treatment for Substance Use.